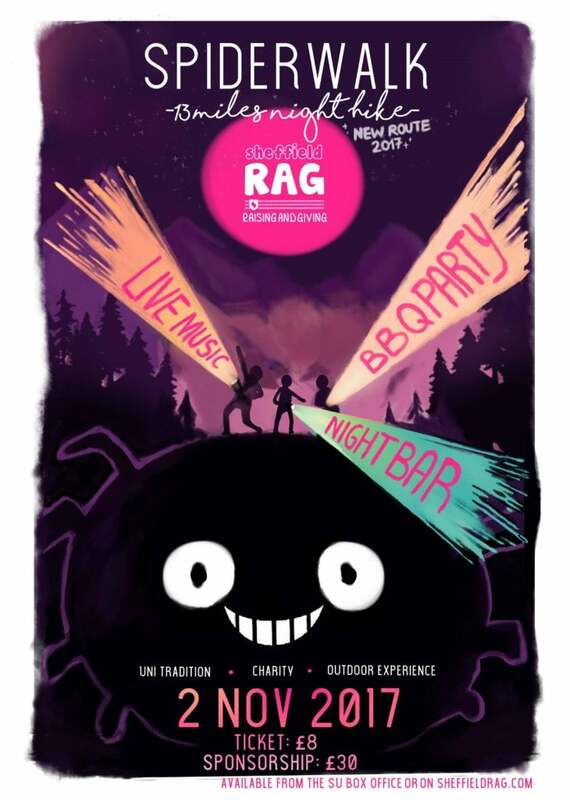 Sheffield RAG is braving the dark to raise money for local charities. The Spider Walk is back with a bracing midnight hike into the Peaks all in pursuit of a good cause. The University of Sheffield’s Student Union has organised a half marathon hike through the Peak District to Whirlow Hall Farm and back on Thursday 2 November. Halfway into the midnight trek you can expect to find Whirlow Hall Farm buzzing with live music and a BBQ. Last year’s Spider Walk raised more than £3,000 for local charities and helped Sheffield RAG (Raising and Giving) raise a total for the year of £110,00 for South Yorkshire charities. This year the walk is raising money for, among others, Whirlow Hall Farm – a working farm in the Peak District which helps get children who have been excluded or are at risk of exclusion from mainstream education back on track, while connecting them with nature. They also work with local schools and college students to provide enriching experiences outside of the classroom and as part of agricultural and environmental qualifications. This year, Spider Walk is open to everyone to join in. Tickets for the are £8 and include food, a hi-vis jacket, runner number, map and entry to the music event. It also includes a commitment to raise at least £30 in sponsorship. Tickets can be bought online at tickets.sheffieldstudentsunion.com/ents/event/11378/.